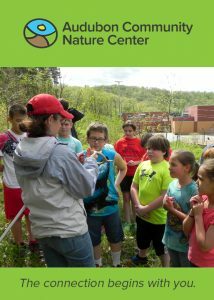 Mission: Audubon Community Nature Center builds and nurtures connections between people and nature by providing positive outdoor experiences, opportunities to learn about and understand the natural world, and knowledge to act in environmentally responsible ways. Did you know that Audubon naturalists will see all 2,000+ Warren County Elementary School students at least twice during the 2016-2017 school year? Every classroom will be visited twice. Second and fourth grade students will enjoy an outdoor schoolyard program. First and third graders will go on a field trip to the Nature Center.